Can Elderberries Be Grown in North Carolina? American elder (Sambucus canadensis) is a deciduous shrub, hardy in U.S. Department of Agriculture plant hardiness zones 3 through 9. Its relative, black elder (Sambucus nigra), hardy in USDA zones 5 through 8, is also a deciduous shrub. The two elders are grown for their ornamental value and edible fruit. North Carolina has six USDA plant hardiness zones, from 5b to 8a. Therefore both elderberry species can be grown in the Tar Heel State. American elderberry is native to the eastern United States, including North Carolina. The multi-stemmed shrubs reach 5 to 12 feet tall, with an equal spread. Their pinnate or feathery leaves are usually borne in odd-numbered groups. Fragrant white flower clusters appear in late spring or early summer, followed by purple-black fruits in late summer or early fall. The shrubs thrive in full sun to part shade and do best when sited in areas that receive consistent moisture. Powdery mildew can occur during hot North Carolina summers, but good air circulation can help prevent it. Black elder does not have the wide zone hardiness span of American elder, but fits within the hardiness parameters of North Carolina. While American elder is a better choice for fruit production, some varieties of black elder are highly ornamental. "Eva," sold commercially as Black Lace (Sambucus nigra "Eva" Black Lace), hardy in USDA zones 4 through 7 (including parts of western North Carolina), features deeply dissected, lacy purple leaves reminiscent of some Japanese maples. The fragrant flowers are pink. Somewhat shorter than the species, "Eva" Black Lace grows 6 to 8 feet tall. Elders make excellent specimens for North Carolina wildlife gardens. The flowers draw butterflies and the fruits attract birds. The shrubs also make good plantings for naturalized areas and streamside landscapes. American elderberry can be included in native plant gardens. Some of the smaller cultivars, like "Witches Broom" (Sambucus nigra "Witches Broom"), hardy in USDA zones 5 through 7, can be grown in containers or small spaces. Take care when deciding whether to plant any elderberry species or variety, as plant parts can be toxic to pets if ingested. In addition to the American and black elderberry species, several others can also be grown in western areas of North Carolina. 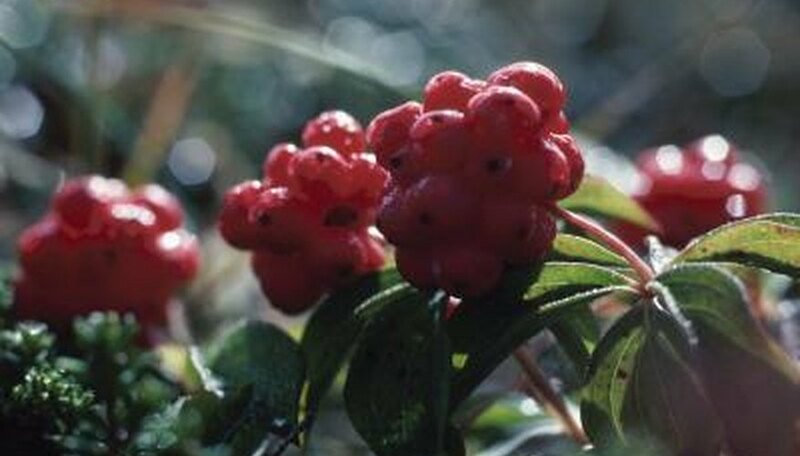 These include blueberry elder (Sambucus caerulea), hardy in USDA zones 5 through 7, with blue-black edible fruits and yellow-white flowerheads; and scarlet elder (Sambucus pubens), hardy in USDA zones 4 to 6 and occurring naturally in mountain areas of the state. The European red elder (Sambucus racemosa), hardy in USDA zones 4 through 6 or 7, has the same finely dissected leaves as its relatives, but is distinguished by especially heavy fruit set. Missouri Botanical Garden: Plant Finder -- Sambucus Nigra "Witches Broom"